Why Not Wolves in California? Answer: The biggest considerations on natural reestablishment of gray wolves into California are the smaller populations of prey species available (compared to other western states), the growing population of people and the decline in habitat to support them. According to California Department of Fish and Wildlife (CDFW) Wildlife Program Manager Karen Kovacs, while the gray wolf’s prey species is similar to other western states (deer and elk), California cannot compare with the other states on the numbers of prey animals. In general, wolves in the western states prey on elk. And while some states have hundreds of thousands of elk, our state has less than 10,000 elk. California has more deer than elk, but again, less than what other western states have. Human population in California is also different. California has more than 38 million people and infrastructure to support that population including highways, development, reservoirs, intensive agriculture, etc., all of which contribute to a loss of deer and elk habitat, hence a loss of potential wolf habitat. One other difference is that California has very limited information regarding the prior presence of wolves in the state. Very little verifiable information exists, including about two wolves collected in the 1920s. So just how widespread and what those historical numbers are is unknown. The draft Wolf Plan will address these considerations and other consequences of wolves in California. 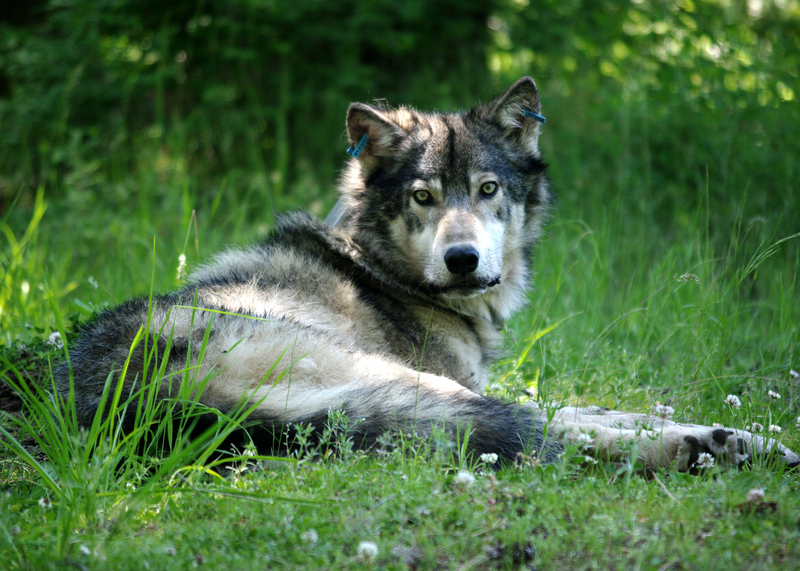 The wolf planning process with the stakeholder working group is completed. We are in the process of revising the draft based on peer review and the last round of comments from the working group. We anticipate having the revised draft available for public review along with holding two public meetings for additional input to the department. We will then make any necessary changes and finalize the Wolf Plan. Timeframe is late spring or early summer. There is no specific funding identified at the present time. Answer: Both striped bass and leopard sharks have minimum length requirements and no established minimum fillet lengths, so neither can be filleted until you are back on shore. Heads and tails must also stay attached so that the fish can be measured to confirm they are of legal size, unless the fish is still of legal size after removing the head and tail. No person shall fillet, steak or cut into chunks on any boat or bring ashore as fillets, steaks or chunks any species with a size limit unless a fillet size is otherwise specified (California Code of Regulations Title 14, section 27.65(c)). In addition, no fish may be possessed on a boat or brought ashore in such condition that the size and/or species cannot be determined (Fish and Game Code, sections 5508 and 5509), unless it is being prepared for immediate consumption on the boat. Can youth hunters earn preference points? Answer: No. Hunters can only apply in the big game drawing once they are eligible to hunt for big game. Applicants for premium deer license tags, pronghorn antelope license tags, or elk license tags must be at least 12 years of age on or before July 1 of the license year for which they are applying. Youth hunters are not eligible to apply, even if it’s just to earn preference points (CCR Title 14, section 708.11). Number of rods while fishing with crab snares? Answer: Regulations for crab snares (referred to as crab loop traps in our laws) can be found in CCR, Title 14, section 29.80. Although there is no limit to the number of poles you use, each loop trap is restricted to no more than six loops (snares). This entry was posted in Big Game, crabs, Finfish, Hunting, Licensing/Permits/Stamps/Report Cards, Methods Of Take, Youth and tagged big game hunting, crab fishing, crustaceans, Duck Hunting, fishing, fishing tackle, invertebrates, ocean fishing, youth hunting. Bookmark the permalink.